Hollybeary Creations : One Card two ways! 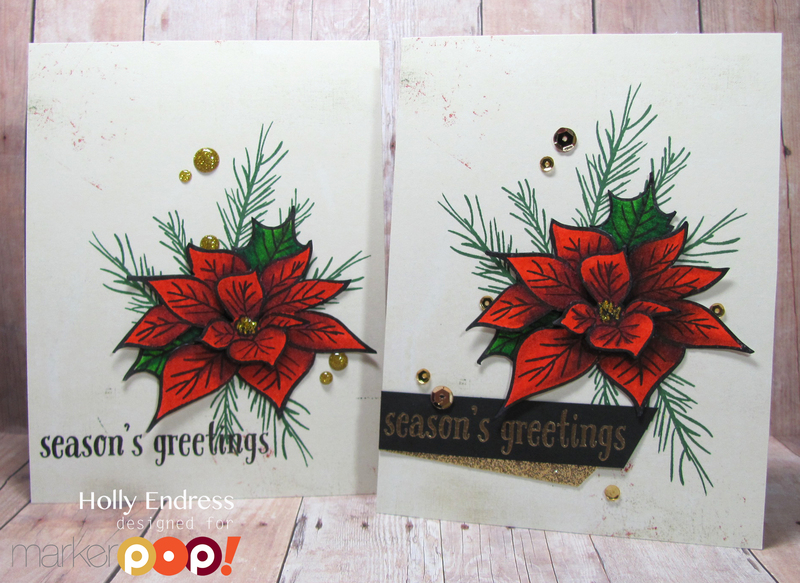 Hi everyone.. Today I'm over on the markerPop Blog with a Christmas Card two ways... And there's a video!!! Watch below or head over to the blog to see how I made these cards. I'm using the gorgeous set from Altenew called Poinsettia & Pines and the sentiment is from Winnie & Walter's Winter Wonderland. I've colored the image in with some Zig Clean Color Real Brush Pens.